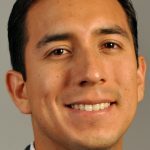 Looking back, it’s been almost a year since I, along with a 19 of my fellow students from across Fuqua’s graduate programs, traveled to Nebraska to attend the 2017 Q&A session hosted by the Oracle of Omaha—Mr. Warren Buffett. It was the first time in our school’s history that Fuqua students had the opportunity to attend the annual Q&A event, and it was a once in a lifetime opportunity for us. It was our chance to meet Warren in person, a legend in the world of business, and get a shot at picking his brain. Warren is regarded as the world’s most prominent investor. For more than 50 years, he and his business partner, Charlie Munger, have managed one of the most successful enterprises in American history—Berkshire Hathaway. Warren’s sound business principles and gentle personality have made of him an icon in the world of business and a great role model to all business practitioners, particularly those who are exploring asset management as a career, like many of us graduate students. Every year, Warren selectively invites students from multiple universities around the globe to spend a day with him and share lunch. After visiting Nebraska Furniture Mart in the morning, we went straight to the Q&A session with Warren. For three hours, Duke and other students peppered Warren with questions—about the state of the U.S. and world economy, his view on the current and future impact of technology in businesses, the business principles he’s been following ever since he met Benjamin Graham, our political system, his career advice and other important topics—and a Daytime MBA student in our group captured some of his responses in a blog. After the Q&A, we had lunch (all covered by Mr. Buffett) and solidified the experience with a group photo. Later that evening, our group gathered together to celebrate the overall experience, our common respect towards Mr. Buffet, and revisit how blessed we were to have made it there. And how we made it to Omaha is worth mentioning. From securing the opportunity, which started almost a year before getting the actual “yes, you are in,” to developing the beginning of a long-lasting relationship with BRK, a lot of effort, strategic thinking, and particularly teamwork went into making the trip a success. 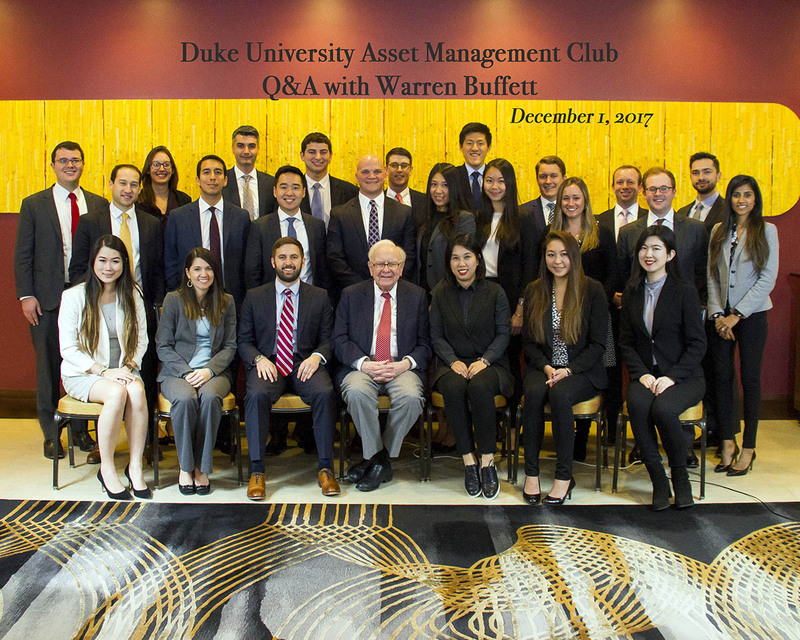 The Asset Management Club is Fuqua’s student-led, professional organization that strives to provide a platform for students, faculty, alumni, and employers to engage with one another and strengthen the investment community at our school. The club hosts a school-wide stock pitch competition, manages a long-only equity fund, meets regularly to discuss and debate market trends, and actively communicates with our asset management alumni. It also coordinated submitting the application for the trip to Omaha, which put us in the mix with 19 other schools from which Warren would select the attendees. The club went through a rigorous application process, and now that we’ve been selected we will be able to send 20 students, every other year, to learn from this great investor. I’m excited for the next group who will have this great opportunity in 2019! It’s impressive what you are able to accomplish if you are willing to think outside the box, remain persistent, be patient, and have a little bit of faith. These are things we preach here at Fuqua and believe that all of our students have that within them.